i-D began as a fanzine dedicated to the street style of punk-era London in 1980, and quickly earned its position at the vanguard of fashion and style, abiding by the premise of originate – don’t imitate. 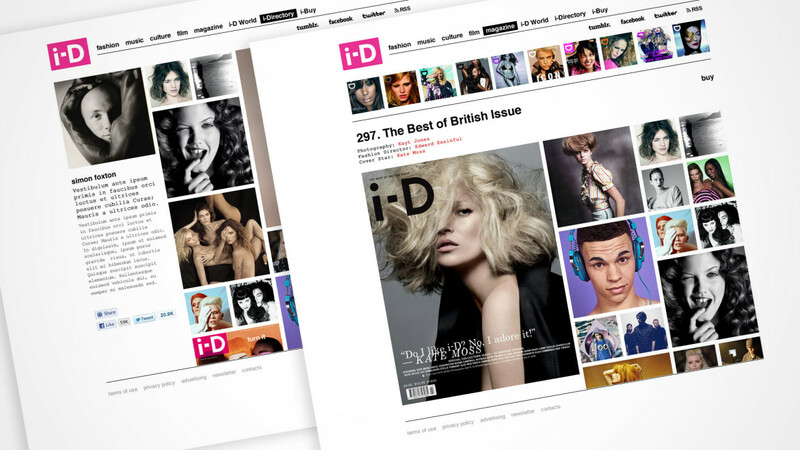 i-D has come a long way since its pre-digital, cut-and-paste days, developing into a glossy magazine with a passionate online extension, that documents fashion and contemporary culture. Sartoria was asked by Therry and Tricia Jones and enthusiastically accepted to create the website of this cultural landmark.